The SNP party have been in control of Holyrood since 2007 and currently sit around the 47% mark in the opinion polls. Of course the SNP aren’t going to lose their stranglehold any time soon, but the collapse of Scottish Labour does put some votes on the table. If Tories and/or Lib Dems can pick these up they stand a chance of making a few gains, but let’s not kid ourselves – the SNP will be holding at least 80% of Scotland’s Westminster seats for the foreseeable future. It’s all about the other parties trying to amass tactical votes to topple the SNP in specific seats. Realistically, on current boundaries that means the Tories going after Berwickshire, Roxburgh & Selkirk, Dumfries & Galloway, West Aberdeenshire & Kincardine, while the Lib Dems target East Dunbartonshire, Edinburgh West, North East Fife. That should make the SNP’s next campaign pretty interesting actually – will they tone down their socialist rhetoric in order to hang on to these generally parochial seats? The problem they have, apart from their one remaining disgraced MP is that Scottish Conservatives do not vote tactically. They are very loyal to their party and are likely to be even more so now with Ruth’s army on the march. On the Scottish Conservative front…. Make no mistake, they are a real threat in not only the seats mentioned by polltroll but also in areas like East Renfrewshire. And yet the Lib Dems picked up Edinburgh W and NE Fife at the last Holyrood elections. In Ed W, the SNP’s vote share actually went up but they lost the seat as Labour and Tory voters rallied behind the Lib Dems. The task they are faced with is one that their “winning here” electoral strategy is ideally suited to. They could remain at 4% in Scotland and still gain two or three seats in 2020. I don’t live in Scotland but polling does look like the Tories will win a couple of Scottish seats. Nicola Sturgeon seems very popular in Scotland and more appealing than Alex Salmond. East Fife looks good for the lib dems but that’s it. NE Fife was a personal vote for the likeable leader of the Scottish LibDems Willie Rennie. This is Menzies Campbell country and the LibDems do well with known candidates where they historically have been successful. Those “weel kent faces” like Menzies, Charles Kennedy and Malcolm Bruce seem far away. Edinburgh West was a surprise to me with Labour throwing all their unionist vote behind the LibDem candidate to defeat the SNP. Where’s NTY when you need him? His accurate, logical and fact-based posts on Scotland always help when there’s a tendency to sweeping statements / posts based on ‘feelings’ and over-reliance on the accuracy of ‘my’ understanding or recollections. Yes, I have to endorse Paul D’s thoughts – it seems that PT simply ignores the plaintive pleas of the rest of the site members and continues to do lots of little (and generally meaningless) posts. Read the feedback PT…..and in a polite way just keep your comments to those that add something. Re Scotland on current polling you have to think the Conservatives would not only win Dumfries & Galloway, Berwickshire and West Aberdeenshire but win them comfortably. With a Tory vote share in a high 20s the real battles could be in place like East Renfrewshire, Perth & North Perthsire, Moray, Aberdeen South, Stirling and Edinburgh South West. But of course there are boundary changes and it is far, far too early to say if their polling will remain at the level it currently is. On current boundaries the LDs would be short odds to win back NE Fife, Edinburgh West and East Dumbartonshire. I am not sure why you feel the LibDems would be short odds to win back East Dumbartonshire? Yes, agree. Though apparently there’s reason to believe Libs result in E Dunbartonshire in 2015 was a bit of an aberration the way their votes increased, and may not be won back. Jo S must have got huge no’s of tactical votes last time, I think there might be one or two other outside chances for them too, though. I can also see Angus in play for tories in these circumstances. Labour’s Scottish polling has continued to decline further and further since 2015. So every reason to believe the LDs could pick up enough votes from Lab to get them over the line if the SNP stayed still. This is an area where boundaries could scupper the LDs, though. I can’t remember what the proposal is off the top of my head. Hardly – when compared with the 82% turnout at Darlington in March 1983 or the Greenwich byelection of February 1987 which saw a turnout of 68%. But on the other hand, the swing in Stoke was much lower at 1.8% . An average of the two results gives a swing of 4.35% which is the equivalent of a 15% poll lead. Not always true. The Tory gain at Brighouse & Spenborough was reversed in 1964. The Tories won the Ilford North By election in March 1978 and saw a further swing in their favour there in 1979. Labour increased its majority at Berwick & East Lothian in October 1978 – but their majority fell back in 1979. I hate to pour cold water on the optimism of some of the posters here, but this swing does not automatically imply a massive Conservative majority at the next election. The swing was clearly influenced by the nuclear issue, which is particular to this area. The Conservative party were able to put in a decent campaign; there is no evidence that a ground game of the intensity could be replicated across dozens of target seats, whilst also trying to ensure existing marginal. The Lib Dems have been doing well in recent council by-elections. The greatest threat to the Conservative majority is a wide-spread belief that Labour cannot win, thereby eliminating the squeeze so successfully applied to Lib Dem seats in 2015, based on the premise that Labour would rule with the SNP, unless the Conservatives won. The Conservatives can only afford to lose 6 seats to lose their majority, Labour need to win nearly 100 to take power alone. Boundary changes will help the Conservatives and being cautious Theresa May will surely wait to be certain of benefiting from them. It would be more meaningful to average the fall in Labour vote share but it is pretty clear the Labour vote in Stoke was held up by fear of UKIP.. The fact that the Lib Dems won both Orkney and Shetland in the Holyrood election rather suggests the voters are less concerned about the antics of Carmichael than you are.. Swing is calculated on the basis of one party’s vote change relative to another. If Party A loses 10% to Party C with Party B also losing 6% to Party C there will still have been a 2% swing from Party A to Party B. This was well illustrated by what happened in the 1964 election when the Liberals contested 365 seats compared with circa 200 in 1959. In many seats both the Tory and the Labour vote dropped, but because the latter fell by less than the former there was a net swing from Tory to Labour resulting in significant Labour gains. On the same basis, it is entirely reasonable to average the swing in the two seats. You appear to miss the point – namely that the Tories performed better at the subsequent 1979 general election there than at the March 1978 by election. Thus, the Opposition improved its position further . On that basis, Labour could perform better at Copeland and Stoke in 2020 than at either of the by – elections – particularly given the time period involved. @Graham If the polling is substantially better for Labour at that time then yes. If it is the same at is now they would almost certainly do worse in a general election than they did in the by-election. If Thursday 23rd February had been the date of a general election Labour would have lost Copeland by even more than it did in one of its worst meltdowns in history. To clarify, the reason I doubted why folks were suggesting that East Dunbartonshire is that the constituency will be disappearing in it’s present form. Part of Bearsden (good LibDem country) will drop out and part of Kilsyth (good SNP) will come in. However, good LibDem candidates have proved often in the past that they can buck the trend. Thank you Matt and Bt Says 🙂 Yep you’re absolutely right Paul D, his incessant nature really puts me off of this site at times, hopefully it’s just me and not the same for other contributors. As for where constitutes a viable target for the Conservative Party in Scotland I suppose it really depends what boundaries we’re talking about: the existing Westminster boundaries (which are due to be replaced before 2020) or the upcoming boundaries (which are being developed at the moment and due to be used at the 2020 UK general election). I believe that the best points of reference in determining which constituencies are the most likely to vote Conservative in 2020 are the Scottish independence referendum results (as the strength of the SNP in any given area typically correlates with the Yes vote from 2014), the 2016 Holyrood election results (as current opinion polling in Scotland is similar to the results of that election) and to a lesser extent the European Union membership referendum results: the extent to which that plays a role in determining how well the Conservatives do in Scotland remains to be seen. Based on the 2016 Holyrood election you would probably expect the Conservatives to be the central unionist party in most of these constituencies with the Liberal Democrats being competitive in East Dunbartonshire, Edinburgh West and North East Fife, Labour potentially coming ahead of the Conservatives in East Lothian, Edinburgh South and Edinburgh North & Leith. In constituencies where the unionist vote held up well in 2015 and 2016 and where the Remain vote was particularly strong at the EU referendum I would expect the SNP to hold up better (mostly around Edinburgh and Greater Glasgow), falling back harder in constituencies which had stronger Leave votes (around the rest of Scotland: particularly the north-east and south of the country). The latest Westminster opinion poll in Scotland has the SNP on 47% of the vote (unchanged on the constituency vote from 2016) and the Conservatives on 27% of the vote (up 5% on the constituency vote from 2016). These figures would almost certainly result in the Conservatives holding onto the Dumfriesshire, Clydesdale & Tweeddale constituency and gaining the Berwickshire, Roxburgh & Selkirk constituency from the SNP on a good margin. Politically speaking the West Aberdeenshire & Kincardine constituency is broadly identical to the Aberdeenshire West constituency in the Scottish Parliament which is currently represented by Conservative MSP Alexander Burnett: so they would clearly be ahead here too. Dumfries and Galloway seems to have also voted Conservative in 2016, so they would be looking at gaining that constituency at Westminster with an increased majority on the Holyrood election. The next most likely Conservative target in Scotland would probably be the East Renfrewshire constituency: a very affluent suburban seat in the south-west of the Glasgow urban area. This constituency had a significant Remain vote at the 2016 EU referendum (74.3% Remain) and has had a much poorer swing to the SNP in recent elections in comparison to other parts of the country: with this in mind the SNP vote should probably hold on here more than elsewhere in Scotland. All things considered it would probably be a very tight marginal between the Conservatives and SNP on the figures given. Other potential targets for the party could include Aberdeen South (which has considerably better boundaries for the Conservatives in comparison to the equivalent Holyrood seat of Aberdeen South & North Kincardine, which might in practice be a stronger target for the party in comparison with East Renfrewshire) and Edinburgh South West (which is broadly similar to the Edinburgh Pentlands constituency at Holyrood, where the SNP had a majority of 7.4%). Outside of that the Conservatives were ahead on the regional list vote in the Edinburgh Southern constituency (which is a more affluent version of the existing Edinburgh South constituency): although a strong pro-Labour tactical vote in that area would make gaining the Edinburgh South constituency very challenging. Moray also had a 50% Leave vote at the EU referendum and a 58% No vote in 2014, so it could be an important target constituency for the party, although the more favourable Moray boundaries in the Scottish Parliament returned a solid 47% SNP vote in 2016, so I wouldn’t get my hopes up there. Perth & North Perthshire is effectively the same as the Perthshire North constituency in the Scottish Parliament which had a 48.6% SNP vote in 2016: it is believed to have went 60% Remain and 57% No. Angus is basically out of the question for the time being as it had a 55% No vote (which would put the SNP at over 50% of the vote there in 2016). As for the Liberal Democrats: Edinburgh West is very similar to the existing Edinburgh Western constituency in the Scottish Parliament, which had a 7% Lib Dem majority in 2016. North East Fife is less favourable for the party in comparison to the Holyrood seat in that area (as it covers part of the more working class town of Leven), although it would still represent a very promising target for the Liberal Democrats looking ahead towards 2020. The same applies for East Dunbartonshire. I believe that all three constituencies are winnable for the party, alongside their solitary constituency in Orkney & Shetland. Labour’s main targets would be East Lothian and Edinburgh South. The new boundaries are currently being developed at the moment, although we have a rough idea on how they should pan out based on the allocated review area designations and the interim proposals which the boundary commission have already published. There are a further two outside targets in Kincardine & Angus East and Aberdeen South. Please check out page 11 of Edinburgh South page for my independence referendum and Holyrood election notionals for all of those constituencies. At a push there’s also Dundee East & Angus Glens, Perthshire and Moray & Nairn: which all voted 57% No back in 2014. I doubt that the Conservatives would be able to effectively challenge the SNP in these seats without the SNP falling back to 45% nationally. As for the Liberal Democrats the proposed Edinburgh West constituency is very good for the party: a vast improvement on the Edinburgh Western constituency in the Scottish Parliament and on the existing Westminster boundaries which would make them favourites there in my opinion (even in an election similar in style to 2015 with the SNP repeating their landslide result). North East Fife and Kirkintilloch & Bearsden South are both much worse for the party than their predecessor seats as North East Fife gains the working class towns of Buckhaven and Methil, which was the best Yes area in Fife back in 2014. East Dunbartonshire loses parts of the very affluent and unionist suburb of Bearsden, gaining some staunch SNP areas in northern and eastern Kirkintilloch. For Labour the primary targets would be Edinburgh South West & Central and East Lothian. 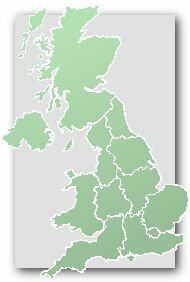 An important reminder: the SNP are currently polling at around/in excess of the results of the 2016 Scottish Parliament election results: realistically I would expect their vote to be broadly similar to the results of the 2016 Holyrood election results across most of the country, increased around Greater Glasgow and Edinburgh – this makes many constituencies in the north-east of the country (places like Angus, North Perthshire and Moray) out of the question as potential gains for the Conservative party as the SNP vote was very strong in those areas back in 2016. If the Conservatives can build up their vote a bit more then they would also be competitive in Aberdeen South and Kincardine & Angus East. And possibly also Aberdeen South and East Renfrewshire, becoming more competitive in Edinburgh South West with an increased vote share. “Re Scotland on current polling you have to think the Conservatives would not only win Dumfries & Galloway, Berwickshire and West Aberdeenshire but win them comfortably. With a Tory vote share in a high 20s the real battles could be in place like East Renfrewshire, Perth & North Perthsire, Moray, Aberdeen South, Stirling and Edinburgh South West. Very good assessment here: I completely agree omitting Perth & North Perthshire as a potential Conservative gain at the moment. In East Dunbartonshire looks can be deceiving: the boundaries at Holyrood are very different from the boundaries at Westminster as the Holyrood seat excludes much of Bearsden and Milngavie: affluent, suburban, very unionist areas. It covers the more deprived northern and eastern parts of Kirkintilloch as well, areas which are covered by the Cumbernauld, Kilsyth & Kirkintilloch East constituency at the British Parliament and are significantly better for the SNP. This did the Lib Dems no favours in 2016. Considering the role tactical voting has played in other constituencies which are similar in nature to East Dunbartonshire (Aberdeen Central, Edinburgh Southern, Edinburgh Western and Eastwood) I would say that their vote should hold up here if the boundary changes don’t go through. Actually East Dunbartonshire is to gain the remaining parts of Kirkintilloch, which is currently covered by the Cumbernauld, Kilsyth & Kirkintilloch East constituency. The allocated boundary review areas means that this is inevitable assuming that the boundary changes pass. Also Kirkintilloch is located inside of the East Dunbartonshire council area whereas Kilsyth is located in North Lanarkshire. As part of the boundary review Kilsyth is to join parts of Cumbernauld and northern Monklands in North Lanarkshire: solid SNP areas. I was generalising by terming it “part of Kilsyth” but I’m sure you get my drift. Swing works well in a two party system but in the 3-5 party system we seem to have the calculated swing can in theory be based on the rise and fall of both parties. The churn of the vote accurately projects where the votes rise and fall. Thank you. I wish my Geography of Scotland was better, especially Central belt. I am – but no more. Thinking they are ‘winnable’ is not the same as predicting a win. Gillian Troughton has been confirmed as the Labour candidate for the Genreal Election. Wouldn’t it count as a gain? Maxim, if Trudy Harrison retains the seat next month, then, by convention, it will be reported as “Con gain” not “Con hold”. Gill Troughton who lost the Copeland By-election for Labour has now lost her County Council seat as well. There’re rumours that Labour could win back Copeland!! No question of that if the exit poll is right. However, conflicting early results make me VERY cautious! Has any candidate lost three electoral contests in such quick succession? Just 105 days separate Gillian Troughton’s two defeats in Copeland, with a council election thrown in for good measure. Copeland is the most affordable borough in the UK, followed by Ayr, Stirling and Pendle (all 3 times average earnings for first time buyers). The most unaffordable dozen are all London boroughs, with the worst being Hackney, Haringey, Newham and Brent. Pretty obvious – although it is amusing that the former are all Tory now and the latter all Labour seats. The thing to remember is – “most affordable” is not the same as “cheapest”, because the former takes into account people’s earnings. The reason why Copeland is more affordable than somewhere like Middlesbrough is because Copeland is full of engineers with PhDs working at Sellafield. Similarly, the reason that Haringey and Hackney are less affordable than, say, Westminster or Kensington & Chelsea, is because it is full of people on relatively average wages, with quite a lot of students who have no wage at all. PT – not true actually. The multiples were merely based on average national earnings of £26,500. Copeland was most affordable as house prices there were 3 times average earnings with those London boroughs being 12 times average earnings. It really would be very complicated to try to look at average earnings in every UK borough. If this is based on average national earnings, how are Hackney, Haringey, Newham and Brent are at the top, rather than the London Boroughs with the highest house prices – such as those Polltroll has mentioned? And is there a link to whatever this is based on? Not really, it’s a relatively straightforward query of Annual Survey of Hours and Earnings data through NOMIS. Here’s a barebones version (gross annual salary, mean and media, FT workers only) at constituency level I ran off just now. You can mess with criteria to get better data that suit you. Don’t worry about the excel error message when you open the data, it’s a cosmetic bug.